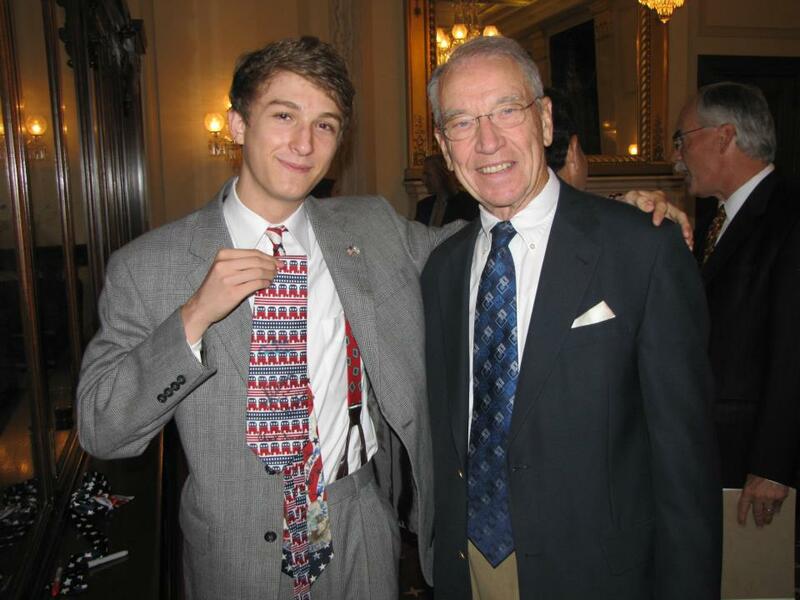 It was a great day to be Chuck Grassley in Iowa on Election Day. Iowa. The state that brought then-Senator Barack Obama to political prominence, and elevated him to the status of a serious contender to the juggernaut of Hillary Clinton’s presidential campaign. Something historic happened on Election Day, however, to the state Obama won twice, and it wasn’t only that Iowans elected their first woman to federal office. Democrat Bruce Braley is regarded as one of the worst (and by some, the worst) candidates of the election cycle, yet he had an inherent advantage because Iowa has regularly sent liberal Tom Harkin and conservative Chuck Grassley to the senate for decades. This is now the first time that both of Iowa’s senators are from the same party since 1985, when Harkin was first elected. “Bruce Braley hates chickens. Considering how important agriculture is in Iowa’s economy and that he wants to represent Iowa in the Senate, I’m shocked that he could feel this way, let alone express it out loud. In fact, Braley goes further than merely expressing his hatred for the little birds. He actually threatened to sue his neighbor over the fact that her chickens walked on his vacation home’s property. These aren’t even your run of the mill chickens. Braley’s neighbor, a registered Democrat, uses them to who have mental health and communication problems, so he’s not just messing with Chicken McNuggets. In fact, he’s threatening to sue his neighbor over the poultry equivalent of a seeing-eye dog. To try to mend things over, his neighbor decided to bring over some of her fresh eggs to Braley’s house, but his wife actually refused to even accept them–the only resident of the neighborhood to do so. To put all of this into context, remember that just about every time Braley is in the headlines nationwide it’s for something bad: he actually complained about the House Gym being closed during the shutdown. He also made the claim that he decided to vote for Obamacare after reading it, despite the fact that it is seven times the length of the Bible, and not even Nancy Pelosi read it. Ironically, the other main reason he supported it (so he claims) is hearing. Unfortunately for him, not only is Obamacare bad for Iowa, it is also already a massive liability on his senate bid. Of course it goes without saying that Braley insulted Iowans by demeaning their intelligence when he called Senator Chuck Grassley a farmer with no law degree. But back to chickens. Braley’s first negative ad of the race, “Chick,” was widely decried as sexist, in addition to not being true, and Iowans are getting tired of his antics, and the election isn’t even until this fall. As bad as this was, Braley’s infamous gaffe, in which he described Chuck Grassley as a “farmer” with no law degree, was far costlier. Despite occurring months before the election, a huge amount of voters still had it in their minds when voting just last week, because he managed to disparage Iowa’s senior senator, farmers, and Iowans, all in a the space of a few sentences. For whatever reason, Harkin also refused to donate the millions he had in his own campaign account to Braley’s campaign, although I doubt that money would have made much of a difference because Braley lost by a pretty significant margin. However, Joni Ernst’s victory wasn’t the only shocking thing to happen in Iowa. A couple of weeks before the election, Democrats started spending a lot of money in Braley’s own congressional district, which was viewed as safe for most of the election. Astonishingly, Braley’s campaign was so terrible that he couldn’t even keep his own House seat. Republican Rod Blum won the seat by 3 points, despite the fact that Braley won the seat by 14 points only two years ago. In Iowa’s Second District, Democrat Dave Loebsack also faced a surprisingly close race, only winning by 3 points, despite winning by 13 points two years ago. In Iowa’s Third District, Democrat Staci Appel was originally regarded to pick up the seat that was held by retiring Republican Congressman Tom Latham, but she too was swept away by Ernst’s coattails, losing by over ten points in a district that was viewed as a tossup for almost all of the cycle. In fact, Appel lost to now-Congressman David Young, who was actually Grassley’s former Chief of Staff (it was clearly a good night for Chuck Grassley). I would be remiss if I didn’t also remark about how astonishingly well Governor Terry Branstad did, winning a sixth term by around 22 points. By the end of this term, he will have been America’s longest serving governor, and his coattails definitely helped push a lot of candidates over the finish line. Branstad only lost one county in his blowout victory. Looking at the statewide results, it’s easy to see why this poses trouble for Democrats down the road. There will no longer be a legendary Harkin Steak Fry for Democrats to raise money at, and very few surrogates they can have in the runup to 2016. As mentioned, they also just elected their first female to federal office, and the fact that Ernst is a Republican takes some of the wind out of Hillary’s sails in the anticipation of her presidential bid. Hillary has told Iowa “I’m back!” but are Iowans really ready for a third Obama term? Looking at Tuesday’s results, they might not be.